Okay, okay, apparently it has two meanings. One of them is basically “pipe dreams”, which, while ironic to MY particularly sarcastic mind, is not appropriate. The other, “a soaring of the imagination”, is on the money. See, one of the very best things about getting my life back (by which I mean, being sober, having my wits about me) is that I begin to dream again. When I am in my other state, there is no dreaming, other than the dream of being myself again. And that often seems quite far-fetched. This morning, I am supposed to be doing other things. I promised a counselor that I would work on some other writing she wanted me to do, which just seems a million times less appealing because a) I’ve done it at least seven thousand times already, and b) it was assigned. I did, however, do some penance in the form of other horrible paperwork. I jumped through some hoops on a supplemental insurance website, and filled out the painstaking little bubbles on my disability paperwork. I experienced a brief and unkind rush of joy when I realized that the bulk of the bubbles needed to be filled in by a doctor. The rush was further flushed out when it occurred to me that I have an appointment with exactly the correct doctor at ten this morning. Neener-neener, doc. But my head keeps wandering off to dream about the life that is still laying itself out before me. I don’t know what, really, will become of me. I do know that nothing is promised. I am trying, still, to make the very most of this day. 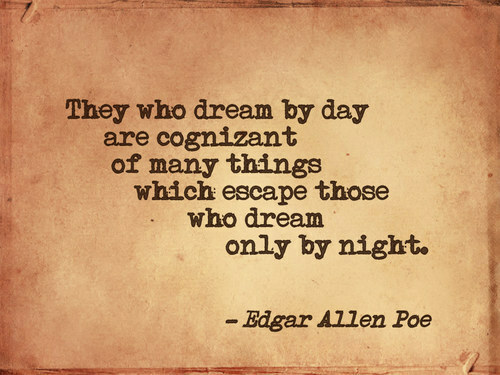 But what is the harm in dreaming? I think it is valuable, really. I am dreaming a lot, lately, of going to Hawaii with my oldest daughter. Now this is her dream, really, more than mine- but do you know how flattering it is to have a kid who wants her travelling partner to be you, her MOTHER? Yesterday, we had a little spat, where she basically said (while I was in the midst of doing something for her) that she hates my personality- at least, that is what I heard. After much filler (meaning I hollered about a lot of things that were more acceptable than telling her why I was really upset) I was able to see, and to tell her, that she had hurt my feelings. That I felt like she hated who I was, which sucked, because I didn’t know how, nor do I really want, to be someone else. The big miracle was that she actually heard me. She said “Mom, you are my best friend. You are the one I go to with everything. I wake up earlier in the morning just so I can have coffee with you, and talk. But that also means you get on my nerves sometimes.” Well. That is…that is a pretty hefty compliment, don’t you think? I am a very lucky woman. I guess maybe I am not quite the horrible parent I feel like sometimes. So, I have been dreaming about going to Hawaii with her. Also, I have been dreaming about my future life. The way I would love to live on an island (not really a tropical one, although that is open for discussion) that people must Ferry out to see me on. Wouldn’t that be cool? I know that I am not a city type girl, although I would love to be familiar with at least one big city, so that I felt comfortable while wandering its streets. But when I think about my future life, it is always nature and a quite place, a slower pace, that I see for myself. My future holds lots of mornings, and, I hope, days, like this- full of writing, and peace, books, coffee, beautiful surroundings, peace in my heart. I hope there are many long, meandering walks in my future. Lots of stargazing, lots of sunrise watching, many, many walks on familiar beaches. I hope there are good, kind, people there. Friends who know me and love me, friends who will tell me the truth when I need to hear it. I hope there is big, big love there, too, someone I can admire and adore and feel safe with, AND challenged. Definitely someone with a sharp mind, who can keep me on my toes. Someone who reads. That is a must. The future in my mind is shaping up into a beautiful picture. This is not something I could have said a few weeks ago. I am so blessed, as I often say, and so, so grateful. But I do have to get that damn paperwork done. Have a beautiful day. I used to get in trouble for day dreaming in school when I was a kid. Turns out, it was what has fueled my entire life. Without dreams, there is nothing to shoot for. Without dreams, your future is shapeless and the path ahead seems to lead nowhere. I still, at my now somewhat more “advanced age” – go to sleep each night daydreaming about my own future, however much less of it there is to dream about. Nevertheless, I plan and scheme and dream and it brings me joy and even excites me still! You are so much my child it is crazy… you and I are more alike than you could ever know. I love that Aisley is maturing, so that your conversation took a turn in such a nice direction. Saying what is underlying the frustration instead of striking out blindly….I love you all so, so much!! Thanks, mom. We love you so, so much, too. Your future sounds awesome Courtney! I know you can make it all happen.